For most of my life as a Catholic, I was confused about the role of Mary. While I accepted the fact that she was important to Catholics, I didn’t understand WHY she was important. That changed BIG TIME for me a few years ago when I finally saw the light and accepted her as my spiritual mother. As a result, my life changed drastically and she has brought me closer to Jesus than I ever thought possible. I’d like to tell you about my “Mom” by looking at what is recorded about her in the Bible. Her message is a powerful one. I think you should listen! 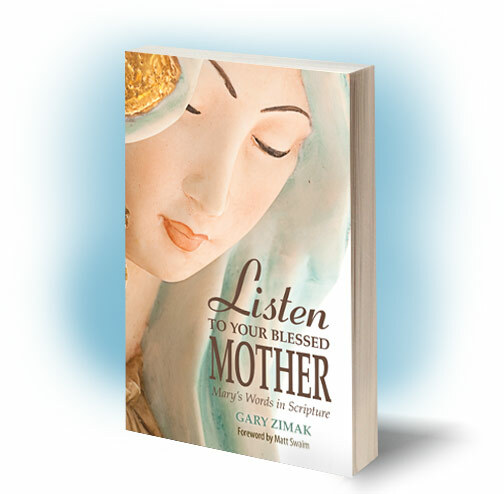 Posted in: Bible, Blessed Mother, Listen To Your Blessed Mother, Marian, Mary, Scripture.